President Barack Obama has accused Mitt Romney of being against the interests of middle class Americans. But the Obama administration bailed out GM union retirees while slashing the benefits of private-sector retirees who worked at Delphi, devastating these middle class workers and their communities. Last Thursday, about 200 retirees whose pensions the Obama administration “threw to the wolves” rallied in front of a shuttered Delphi plant in Ohio on the day Obama was addressing the Democratic National Convention. These retirees called on Obama to fix what his administration did to their pensions. If Obama did not work to make their pensions whole, those in the group, many of whom voted for Obama in 2008, vowed to work to ensure Obama is defeated in November. This is one of the dark sides of the GM bailout. 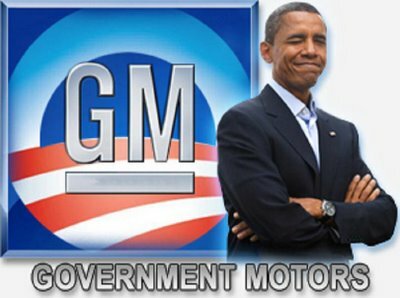 The Obama administration desperately wants to spin GM as a success and the mainstream media tries to ignore the Delphi pension problem to protect Obama and help his reelection chances. To get GM through bankruptcy, the Obama administration urged the Pension Benefit Guaranty Company (PGBC) to take over the pensions of more than 20,000 Delphi retirees, reducing the pensions by as much as two-thirds and terminating health care and life insurance benefits. GM spun off Delphi, the auto parts supplier, in 1999. Recently-published emails reveal the details of the PBGC’s takeover of the Delphi pensions are murky. Treasury Secretary Tim Geithner may have lied to Congress about his role in the negotiations, which may have financially benefited Obama administration officials and some of their previous employers. As the pensions of Delphi retirees were being slashed, the Obama administration was topping off the pensions of union workers with taxpayer-funded bailout funds. Delphi retirees at the rally said they have “presented a solution to the Obama administration that will fully fund our pension plans with zero taxpayer dollars,” and Rep. Mike Turner (R-OH) said he expects the Delphi workers to get their pensions restored and is trying to use Congress’s subpoena power to unearth more of the details behind the takeover of the pensions. 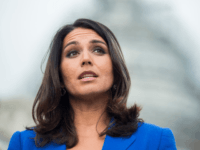 “When the president talks about protecting the middle class, protecting health care and protecting pensions, he not only let you down, he showed what he really means,” Turner said. “You had just as much rights as everyone else. Your pensions were protected by contracts, by assets and by the laws of this country. The fact that your pensions were taken in a back-door deal in the White House is absolutely wrong. The Obama administration’s treatment of Delphi’s retirees represents another instance of crony capitalism and “Chicago-style” politics that puts unions and other administration allies above all else. It also undermines the administration’s claims that it is on the side of the middle class and the GM bailout was a roaring success. And the Delphi retirees Obama betrayed are similar to the middle class, Reagan Democrat voters profiled in Stephen Bannon’s movie “The Hope and The Change” who fell for Obama’s promises of hope and change and voted for Obama in 2008 but will not do so in 2012.